About the Author Glen Gilmore served for eight years as the Mayor and Public Safety Director of a community of nearly 100,000. During his tenure as mayor, his community was recognized by CNN as the "10th Safest City in America." He also served as Deputy-Chair of the NJ League of Municipalities Hometown Security Task Force. During America’s Anthrax Crisis, Gilmore was dubbed "a national hero" by The New York Times and a "man of action" by TIME magazine for his leadership in responding to a deadly risk posed to over 1,000 postal workers at a contaminated, regional postal facility in his community. An adjunct with Texas A&M University, he has assisted in the creation and delivery of crisis leadership courses funded by the U.S. Department of Homeland Security through @NERRTC. I originally wrote this post in March of 2011. In December of 2011, my home state of New Jersey encountered earthquake tremors for the first time in recent memory. As a consequence, phone usage surged and the phone system failed, both cell phones and landlines -- for hours. This rendered the 911 emergency system useless for hours, leaving those in an emergency without access to emergency communications and assistance. Why? Why when the internet remained intact and Twitter buzzed with activity. I thought of my proposal and wondered why it had yet to be tested anywhere. It is now three days after Hurricane Sandy and phone calling is sporadic at best: some areas simply can't be called, though Twitter remains unhampered, fully functional. Please let me be clear that I advocate the use of a Twitter911 system only as a back-up when access to calling 911 is disrupted -- as happened for FOUR DAYS to 2.3 MILLION people recently in Northern Virginia. And let me stir the pot a little bit more by noting that I think we should be putting into place protocals that would allow both Twitter and Facebook to be enlisted for emergency communications in such circumstances. -- What's crazier? Tapping into a ready resource in time of crisis (and prepping the system and emergency responders and the public before it is needed) -- or letting emergency calls go unanswered for days as people look at their active social networks and wonder why -- especially when most communities now already have Twitter and Facebook accounts. 2. Train. Train 911 call center employees. 3. Provide computers to call center. Dedicate a couple computers in the 911 call center (most towns have a few computers they can reshuffle at a moment’s notice without incurring any new cost). 4. Provide legal disclaimers. Consult with your legal department on how best to phrase all necessary disclaimers warning the public that using a Twitter account to convey an emergency message should only be used if someone finds that they cannot otherwise use a telephone to call 911; include warnings about possible “down”/”fail whale” times, and an alert time that may not match that of a telephone call to a 911 call center. – Whoa, wait, then why bother? Because it provides an easily accessible and integrated secondary means of communication. 6. 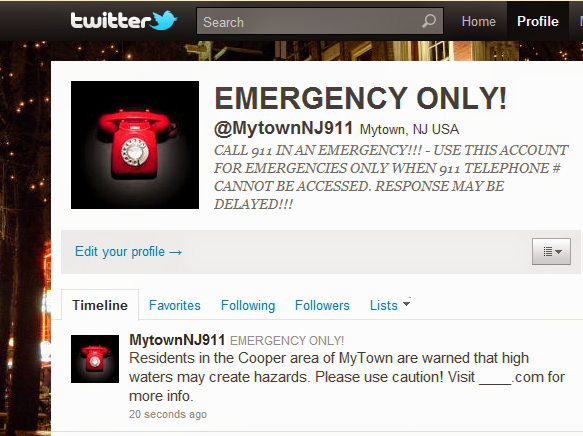 Use the account for incoming emergency messages and “Reverse 911”. Reverse 911 is when a call system is used to send out emergency messages. The public could be informed that the account will also be used to send out emergency messages, while reminding the public that if it does so, questions concerning such messages should be referred to a non-emergency account or elsewhere, so that the incoming tweets remain emergency based only. So what county or parish will be the first to harness the power of Twitter for emergency response? Some communities are already experimenting with Twitter, gathering and sharing information. Fire companies are there. Police departments are there. Will a county or parish seize this social media communication platform and put it to work, if even in a pilot initiative? More likely, it will begin where so many emergency preparedness and response innovations begin: at the local level. Ah, but you ask: What happens when Twitter goes down? The same thing that happens when you try and make a call, but can’t. As I considered the topic further, I thought some might ask, "How could the dispatcher hope to pass on life-saving info?" Well, since many dispatchers have an index at hand to tell them what to SAY, they could likewise have an index of links to share that could even have a video showing how to do CPR, etc. Your thoughts on the details? How can a dispatcher get location, gun descriptions, etc in 140 characters? Tweeters r creative & can share GPS & even a twitpic of the emergency; dispatchers can share how-to links/videos back. Follow person, ask that they do same and use DM - but, it's an emergency and folks using it know the public nature of the forum and may choose to yield their privacy rights due to the emergency. What happens if a dispatcher misunderstands a tweet? Same thing that happens if a person misunderstands a call. Protections exist for reasonable actions. Tng is key to solid communication. How would you prioritize a tweet vs a 911 call? Announce that Twttr911 should only be used a secondary channel, but do monitor the nature of the calls/tweets: "shooting" comes before "broke finger". How could we watch another screen? Same question arose when live-feed cameras were introduced. The dispatcher would be glancing for tweets TO @MytownNJ911, a column that could be created in a Twitter app to make it easy to see. What if someone tweets to the wrong jurisdiction? If it looks serious, "reroute" it: call the proper jurisdiction and read the info to them. Communicate back to victim. Tall order for sure. I am still waiting for 911 email system development. =b Great article and topic! Thanks, Hal. Tall order indeed. Lot of talented #SMEM folks out there though who just might be able to make it work as a useful, secondary channel. 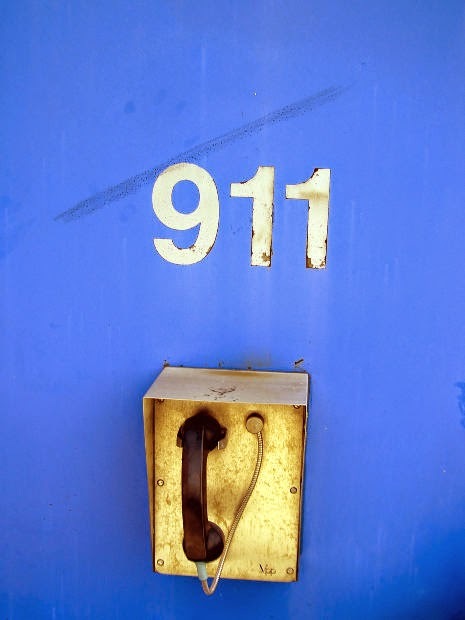 "Naming it a 911 is misleading...911 is more robust...."
Integrating a Twitter 911 account with an established 911 center would not be misleading in any fashion, as that's what it would be. And as to Twitter not being "robust" enough, perhaps the critic hasn't studied Twitter at action in a crisis...Presumably, someone who uses Twitter, knows its benefits, as well as limitation -- and would be using a Twitter 911 account in an emergency only if there were some impediment to calling through on the 911 number. How difficult/costly would it be to set up, train the current dispatchers, and implement this in the communities interested in this? What is the maintenance cost for month/year? I think this would something that most communities looking into Twitter911 would be watching very closely. If any of the communities already implementing portions or all of this idea could post a report on their efforts, costs and results then I'm sure it would empower local EMs and Fire/Police Chiefs to bring this idea their next budget meeting and succeed in getting approval. 1. Setting up an account takes minutes. No cost. 2. Training dispatchers? Three half day sessions, spread a week apart. Class II Start with a self-graded quiz. Ask students about the lessons they learned from "playing with their personal accounts and how their experiences meshed with prior instruction. More Q&A, more instruction. Daily review of integration each day by a supervisor and dispatchers to exam how integration is working and to address any questions or problems. Class III: Review how Twitter911 is working and explore ways to optimize initiative. 3. Maintenance costs? You've added a couple computers dedicated to Twitter monitoring. The apps, such as TweetDeck to help you create easier-to-follow columns, are free. There should be yearly training review. So costs? Minimal. Twitter is a very vibrant social network, but it does take a little bit of time for folks to "get it", to understand how it works, its benefits, its lingo, its "rules". There should also already be a social media policy in place. It's been interesting to watch this thread develop. While I have no interest in derailing such efforts (analogy explained below), I firmly believe that the 9-1-1 system operates best as a structured [great emphasis] conversation that gets the caller to do the right thing (share meaningful and actionable information, possibly help the situation with little if any risk, while causing no additional harm)... allowing the dispatcher to promptly and efficiently extract essential information while guiding the caller in real-time and sending the right resource(s) in the right manner to the right location. On that many will be quick to agree - but do kindly note the emphasis on "structured". Many if not most contacts with 9-1-1 dispatchers not only benefit from but require the dispatcher to be immediately forceful ("Stop. Be quiet and listen!") to prevent harm. IMHO the majority of people tend to ramble, though not panic, in a time-life critical crisis. The open-ended nature of current SMS/Twitter (people for the most part talking at one another) can admittedly serve as a meaningful adjunct or tool in an uncommon crisis, but does not offer the structure necessary for swift and accurate [emphasis] primary communication that clarifies and is essential in most emergencies. Until or unless there is greater structure and standards in SMS/Twitter, it seems as though a (carrier provided?) *application* (think GPS with simple buttons and well structured pull-down menus that are interactive and acknowledged?) for the ever-increasing number of smart phones makes more sense than unstructured words essentially "thrown at" dispatch centers with the hope that someone there can and is receiving and handling the matter in the way the caller imagines. 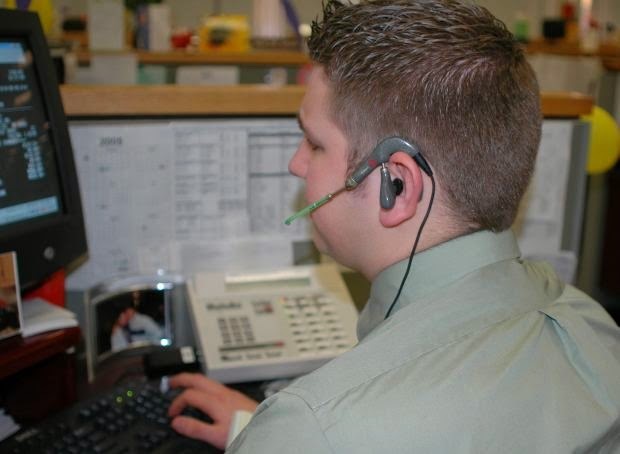 Yes, there is a reason that the phones sometimes ring unanswered for extended periods at 9-1-1: the calltakers (who are historically hard to retain as employees) are often swamped long before you or I happen to call with our personal need. There's also a reason 9-1-1 doesn't let us leave a voice mail message, and until current SMS/Twitter can be confirmed (as sent and received) and more structured, it seems like a greater emphasis should be placed on a smart phone application while SMS/Twitter evolves. In short: Don't stop conceiving the potential of tomorrow's caboose (Twitter/SMS), but do put greater emphasis on today's locomotive (smart phone applications). Brian, it is an honor to have you comment on this post. I realize that you are one of the pioneers and leading voices in social media emergency management. Allow me to begin by thanking you for your great leadership and service. Your points are all well taken. Today, though, as I felt my first earthquake shock effects here in NJ, I discovered that placing a phone call was not an option for about a half hour. That means, of course, that 9-1-1 was out of service as well. While I recognize the challenges that would come with creating, monitoring and using Twitter as a secondary 9-1-1 emergency communications system, it seems to me to make sense to have it as an option when telephone communications are not an option. Thank you again for your thoughts and leadership! A couple folks tweeted me, noting that "911" has not been universally adopted. The system I envision matches local emergency/police listening with dedicated Twitter accounts. So, though I, in Hamilton, NJ, would look for @HamiltonNJ911, someone in another country, would look for their city, state/province/parish, followed by whatever might be the given emergency number of the local. Thanks for asking! Ode to "Social Media Climbers"